SHOLDS is an extension of AGI’s AGIMET and MORIAH naval meteorological systems that utilises AGI’s proven range of solid state Multi-Function Colour Repeaters (MFCR) along with specially developed software to automate the traditional method of manually plotting relative wind information onto a printed paper Ships Helicopter Operating Limit (SHOL) envelope, therefore minimising the workload on the ship’s crew and keeping manning levels to a minimum. A Ships Helicopter Operational Limit (SHOL) diagram is a polar plot of acceptable relative wind speed and direction conditions determined safe to conduct helicopter flight operations from a ship’s deck. Other parameters such as sea state, pitch and roll are also considered in the decision to launch or recover a helicopter. 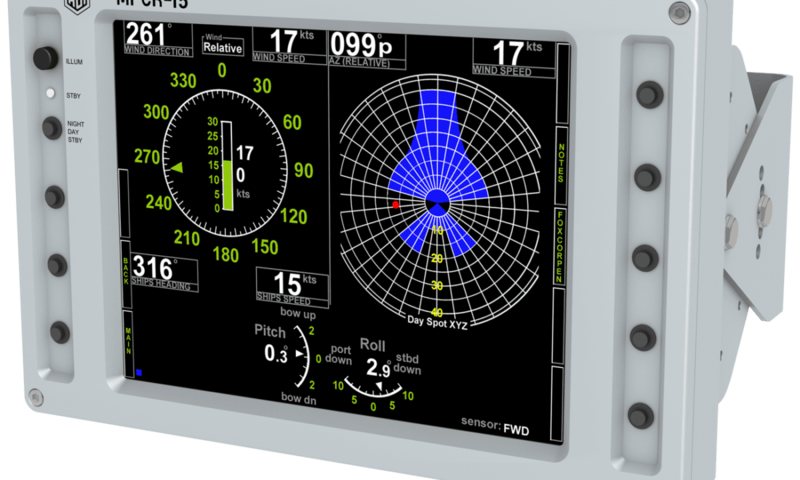 Traditionally a printed-paper SHOL would be used and the commanding officer would have to manually plot wind information on the SHOL diagram, having collected data on ship’s motion and wind conditions from a variety of sources. 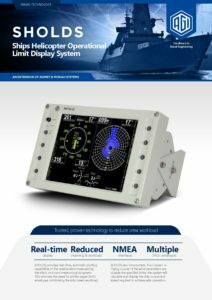 AGI has developed a cost effective electronic Ship Helicopter Operational Limits Display System (SHOLDS), which automates this process and provides the crew with dynamic up-to-date information on wind and ship’s motion, superimposed on the SHOLDS software package. The system will then provide a green (GO) status if the conditions are within the pre-defined limits or a red (NO-GO) status if outside the limits, therefore minimising the workload on the ship’s crew and keeping manning levels to a minimum. If the conditions are outside of the acceptable wind condition limits, the system can calculate and recommend alternative ships course and speed. This function is commonly referred to as FC (Flying Course or Fox Corpen). SHOLDS is an extension of the meteorological systems AGIMET and MORIAH developed and manufactured by AGI Ltd. For further details on SHOLDS please see Application Note & Datasheet available in the downloads section.